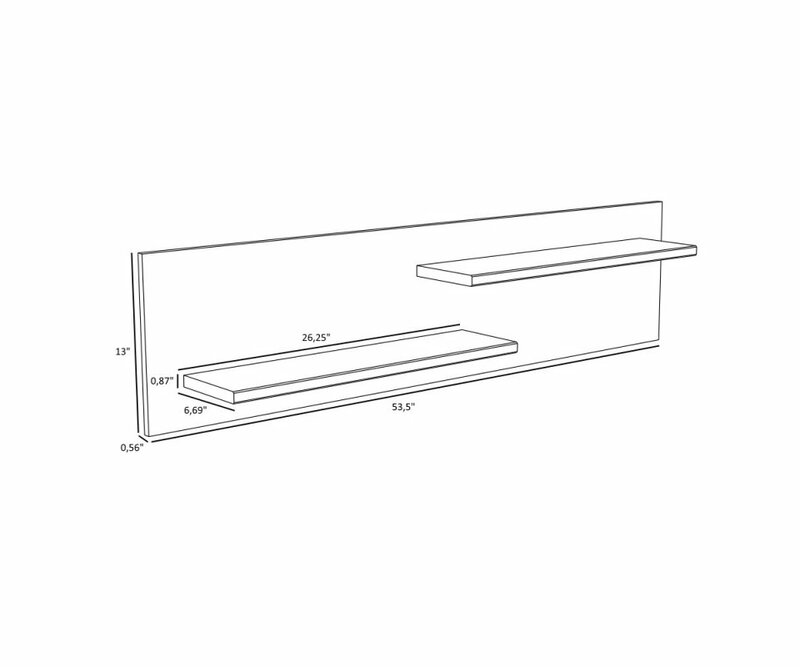 Built to Last: Manufactured from top grade particleboard, the Luneo wall shelf won’t sag or break under the weight of your treasures and collectibles! Foil finish veneer protects the shelves from scratches, stains and spots. Contemporary Style: The Luneo collection is eclectic, and blends with many home décor styles. The two-tone neutral color combination is light, contemporary, and sleek for modern designed spaces. Portofino Oak Foil Finishn: The rich look of light, Portofino oak woodgrain matches the rest of the furniture collection, and can tie together a cohesive arrangement of pieces to make an entertainment wall, a home bar area, or many other combinations that fit perfectly for your home! 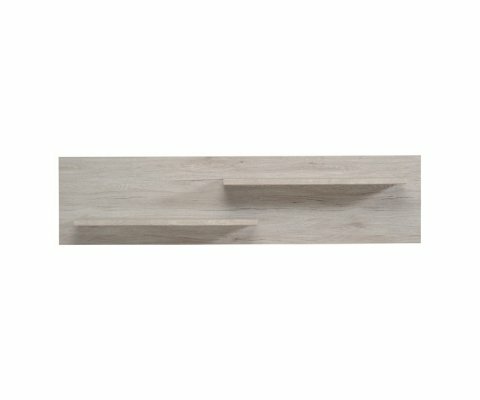 Two Shelf Wall Piece: Two display shelves are staggered on a panel of the same Portofino oak to create a floating wall display of your fine collectibles or home accessories. Eco-Friendly Product: The Parisot Company has earned the Green Way company accreditation for excellence in eco-friendly manufacturing, packaging and recycling! 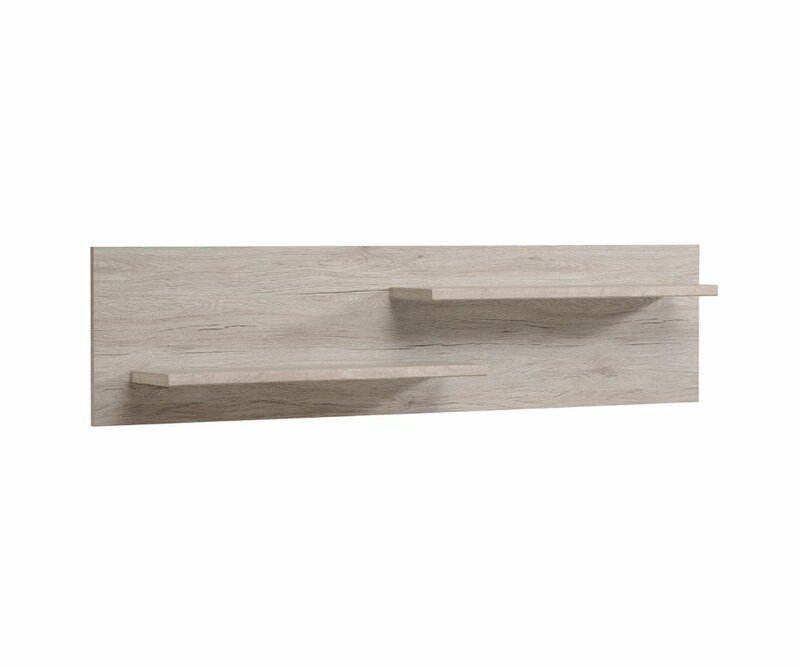 Solid and Sturdy: The Luneo cabinet is made from high-grade particleboard for strength and stability with shelves that won’t sag, with a white melamine and light woodgrain foil finish veneer that resists stains, water rings, nicks and scratches.Contrasting Color Finish: The two-tone color combinati.. Solid Construction: The Luneo buffet looks streamlined and sleek, but it’s strong, too! It’s made from high-grade particleboard covered with foil finish veneer that protects against scratches, stains and water rings!Two Tone Foil Finish: Light, wood-grained Portofino oak combines with glossy white ..
Strong and Sturdy: Finest quality particleboard construction makes the Luneo coffee table durable and strong. The finish is foil finish veneer and melamine, which is resistant to scratches, stains and water rings, so your coffee table will be long-lasting and beautiful for a long time!Stylish Two-T..
Oak/White Foil Finish: The light colored Portofino oak structured finish foil veneer, with a panel of white glossy melamine for contrast, adds style and color to your living/dining space! High-Quality Manufacturing: Crafted from top quality particleboard, this display cabinet is sturdy and won’t wa..